I changed my plans slightly from what I wrote yesterday. The weather forecast was predicting rain for Friday, so I decided to decorate yesterday instead. I put up lights around the garage, my front tree, my door, and my walkway, added a couple of tombstones to the lawn, and put a giant (like 2.5ft tall) skull in the garden. I also hung up some lights and wall decor inside, and took Lion for a walk. Then I started in on the last two embroidery motifs. While those were going, I ate dinner and started on the Anna blouse. 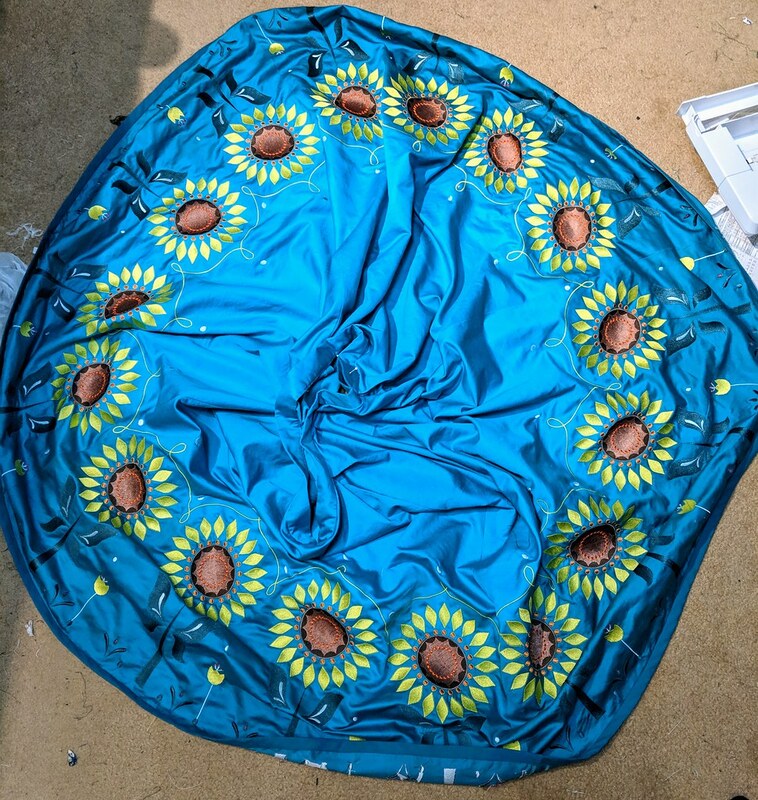 Even though the pattern only went up to two sizes smaller than what I normally make, I wound up only having to make a couple of modifications to the pattern. 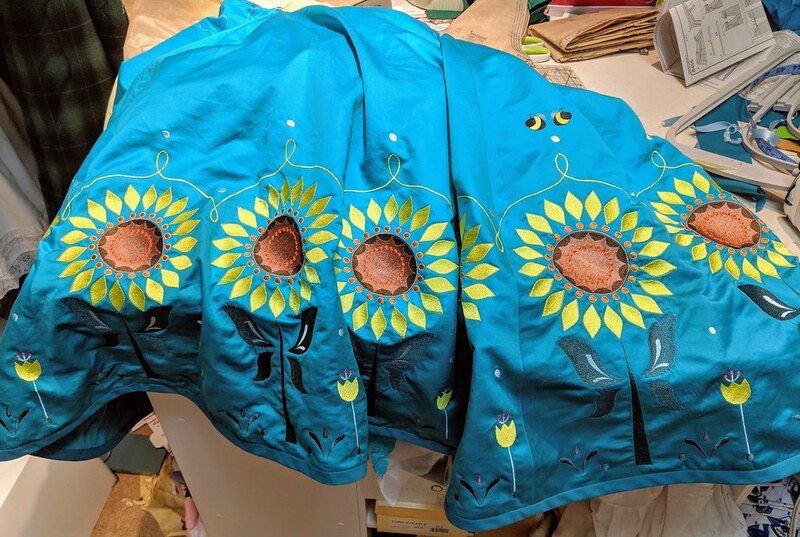 I used a .5" seam allowance instead of 5/8", so that there would be more room in the bust, and I added 1" to the hips at the side seam of each pattern piece. I also wound up moving the darts way lower, though I unfortunately wasted time in sewing the original ones in the pattern at first. So anyway, the body of the shirt is now together, but I still have to do sleeves, collar, and embellishment. Oh, and at lunch yesterday, I managed to do a bunch of the bodice binding. I think I have a little over 1/3 of the bottom binding left, but that's it. I think I'll have about an hour or so between work and rehearsal to sew today. I'd like to dye my tights and work out either the sleeves or the collar during that time.